Television Stations Across the Country Expand Local News | Broadcast Public Service: Local Stations. Big Impact. Fox owned-and-operated KTVU-TV Oakland, Calif., added a 9 a.m. newscast on September 14. 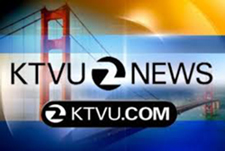 KTVU also airs local news at 7 a.m., noon, 4 p.m., 5 p..m., 6 p.m. and 10 p.m. In the past year, KTVU added 13 hours of local news and sports, for a total of 62 hours per week. Telemundo owned-and-operated KNSO-TV Fresno, Cailf., debuted its first local newscast on September 1. The one-hour Spanish-language program airs weekdays from 5:30 - 6:30 p.m.
E.W. Scripps’ ABC affiliate KGTV San Diego launched a 4 p.m. local newscast on September 14. KGTV broadcasts local news from 4:30 - 7 a.m. and from 4 - 7 p.m.
Raycom Media’s NBC affiliate WECT-TV Wilmington, N.C., debuted "First at Four" on September 14. WECT also airs local news from 5 - 7 a.m., at noon, from 5 - 7 p.m. and at 11 p.m. "We realize viewers are not always able to catch the news in traditional times," said News Director Scott Saxton. Block Communications’ Fox affiliate WDRB-TV Louisville, Ky., expanded its weekday midday news from half an hour to a full hour on September 21. Tegna Media’s CBS affiliate KHOU-TV Houston extended its 4 p.m. news from half an hour to a full hour on September 14. Sinclair Broadcasting’s CBS affiliate WKRC-TV Cincinnati expanded "Good Morning Cincinnati" on September 21. It now airs from 7 - 9 a.m.